Create, edit, define and add form sections without the need of developer's expertise. Configure form pop up windows and form buttons with various library actions. Save Time and Resources using our Form Builder Tool. 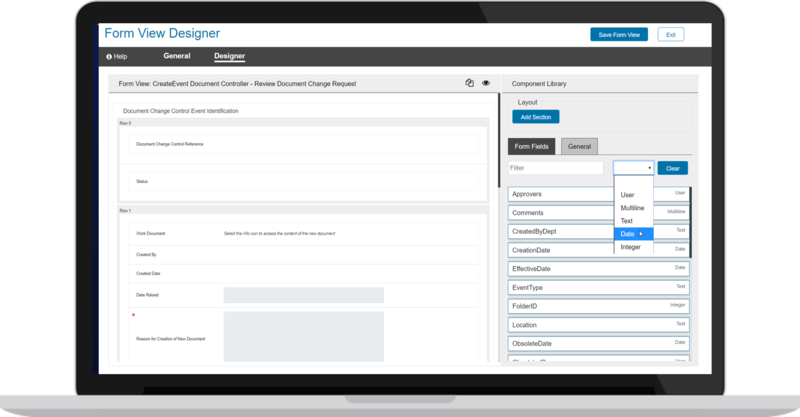 Download the Form Builder datasheet for detailed information. Watch our product tour videos to learn more. How to manage projects, tasks, team, resources, documents and more. "KineMatik Form Builder allows our business administrators create professional looking Form views saving time and resources. It is so easy to use that it has increased our Content Server user adoption". "Using the KineMatik Form Builder tool the Form designer and the person requesting the Form can work together, view the changes in real time leading to a much streamlined form creation process." "It used to take 6 weeks and many meetings to have a Form created and approved. Now we can propose, create and amend a Form all in one meeting. We don't even need to involve a developer." Access useful information, datasheets, webinars, videos & test drive our demo environment.